It´s neither cheap nor easy to ski the Lyngen Alps – but the combination of fresh powder and beautiful fjords makes for a once-in-a-lifetime trip. 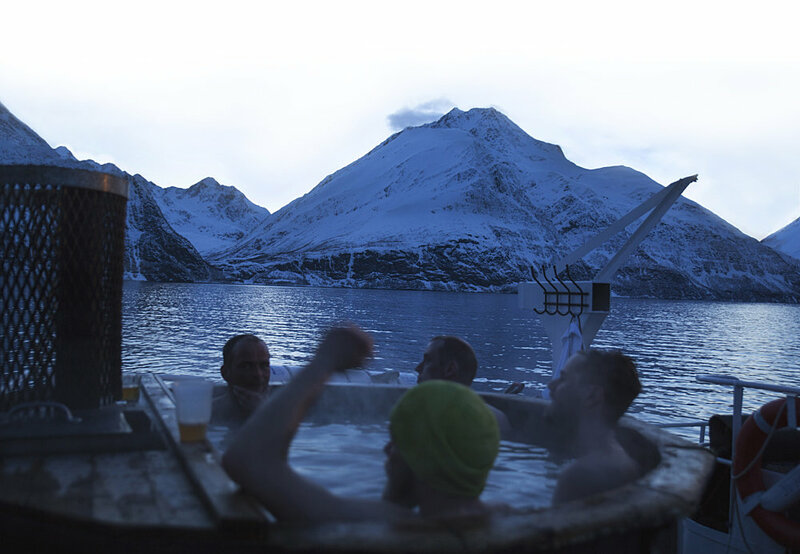 There are only a couple of places in the world where the skiing comes close to Norway’s Lyngen Alps – the remote north of British Columbia in Canada, and Alaska. It’s pretty special – you’ve got water all around these rugged peaks, with near-total daylight. There are no cars, no tourists, just you, the fjord and the mountain. It’s the total package. I’m a ski photographer and I went to the Lyngen Alps last spring in a group containing three of the world’s best skiers, a film crew and a mountain guide – though you don’t have to be an incredible skier to do the trip. 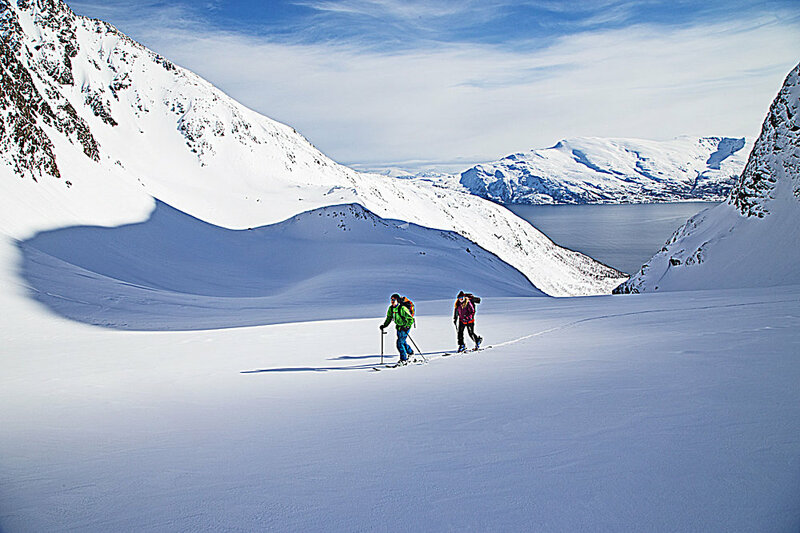 You should go at the right time, however: April and May are the best months to ski at Lyngen, when the weather is most stable and the snow is still great. We stayed on a boat, the Vulkana, which sailed a few hours from Tromsø and moored off Koppangen harbour for most of the seven-day excursion. The trip consisted mostly of hiking to the top of the peaks and skiing down the fresh powder terrain all the way to the sea. The Vulkana is big and really cool. Originally a fishing boat built in 1957, it’s been kitted out like a modern boutique hotel on water. There’s a saltwater hot tub on the deck, a 7m diving tower, a wood-fired sauna down below the lounge and a great restaurant. The food’s brilliant – just about everything you eat is fresh and organic, from the big chunk of reindeer that hangs in the kitchen to the flatfish and cod that are hauled straight from the sea onto your plate.